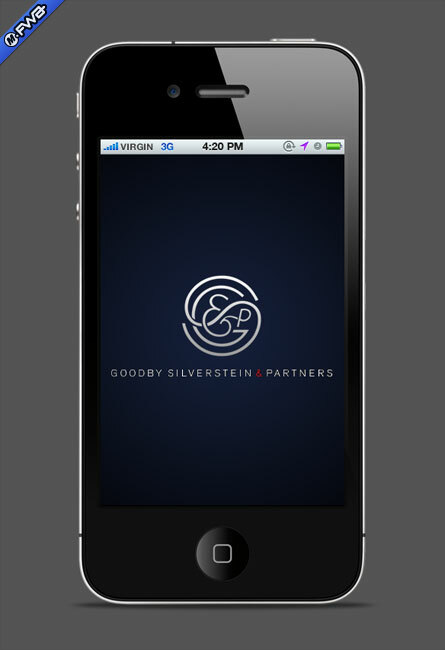 Conceptualization, Visual Design, Technical Design: Goodby, Silverstein & Partners needed a mobile-friendly version of their Flash-based web site to display their award-winning creative work on the go. 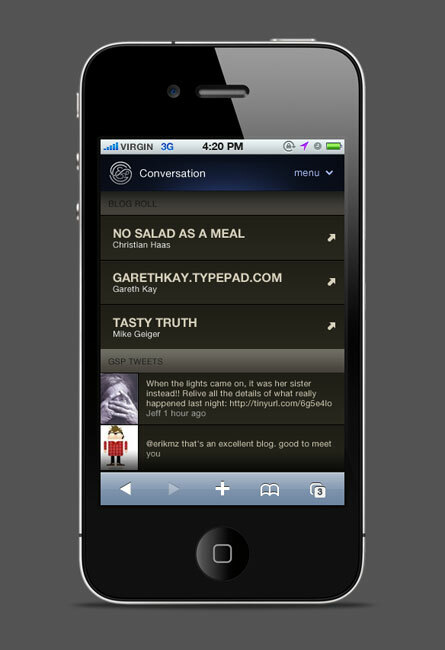 I designed and built this HTML and CSS mobile site to feel app-like and fluid. 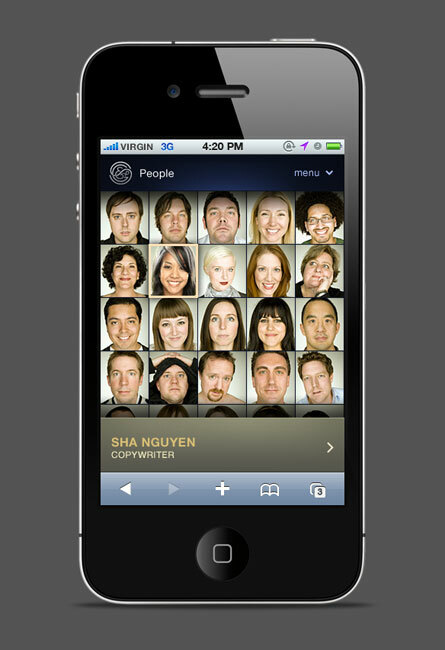 It borrows from the Flash site’s visual language, but is something new and mobile friendly. 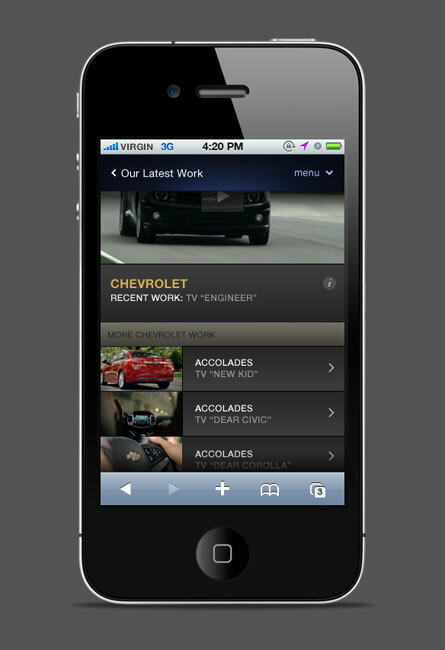 I built it to take advantage of the existing assets of the Flash-based site and display them in a mobile-appropriate way on-the-fly. 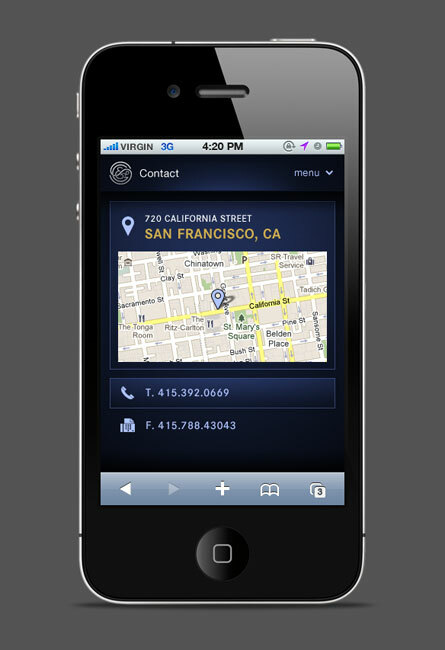 This includes scaling and optimizing images and conversion of video to mobile-friendly formats. 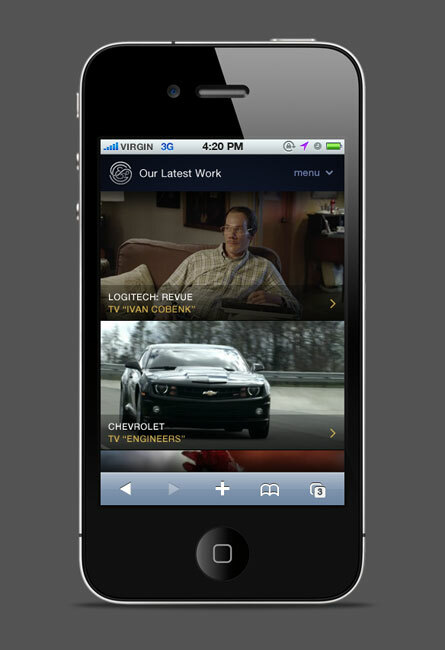 An FWA Mobile Site of the Day.